Sandy and TR will again be at the craft peddler for another great Bob Ross Painting Class, to be held on Saturday, Nov. 2, beginning at 9:00 A.M. Central Time. Never painted before? No worries….. there are beginners in nearly every class, so please don’t let that stop you from signing up! You will leave with a finished painting! Class begins at 9:00 A.M. and will end somewhere around 3:00 that afternoon. Cost is $75.00, with a $35 deposit required when you sign up, with the balance due the day of class. All of your supplies will be provided for you. Beautiful frames will be available for purchase, too. These classes fill up, so call ASAP so you won’t miss getting in on the expertise that these two “bring to the table”….not to mention the FUN time you will have. Give us a call at the craft peddler (785-694-2817), stop by to see us, or send us an e-mail (craftpeddler@st-tel.net). We will look forward to seeing you on Saturday, Nov. 2!!! Refreshments will be served, and there will be a 1 hour lunch break….either bring your lunch, or eat at our local café, just a half block from the craft peddler! 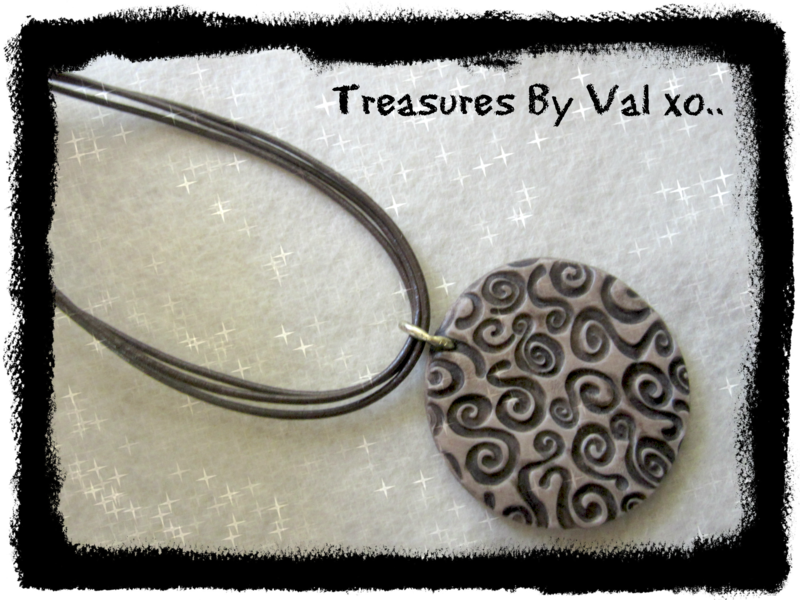 PROJECTS WITH CLAY CLASS: Val Chleborad, instructor. This will be the last class that Val will be teaching through the end of this year, so we are very fortunate to grab her for a class this Saturday!!! 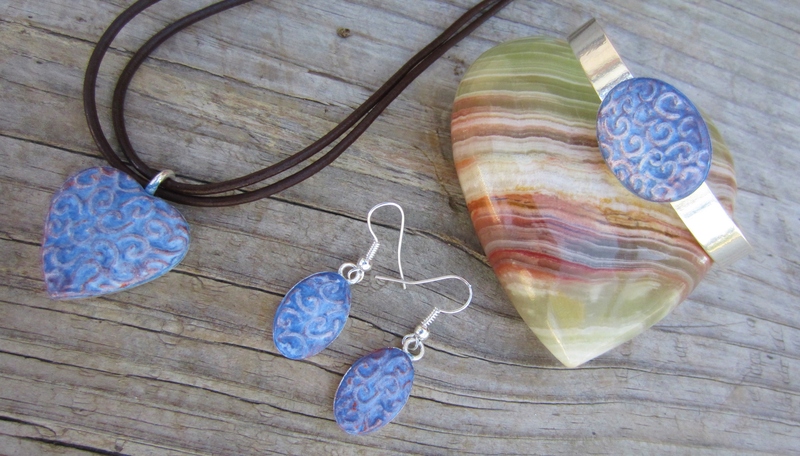 She will be showing you how to make beautiful jewelry (can you believe those pendants are made of clay?!! And make matching bracelet, earrings, and necklace, too!) 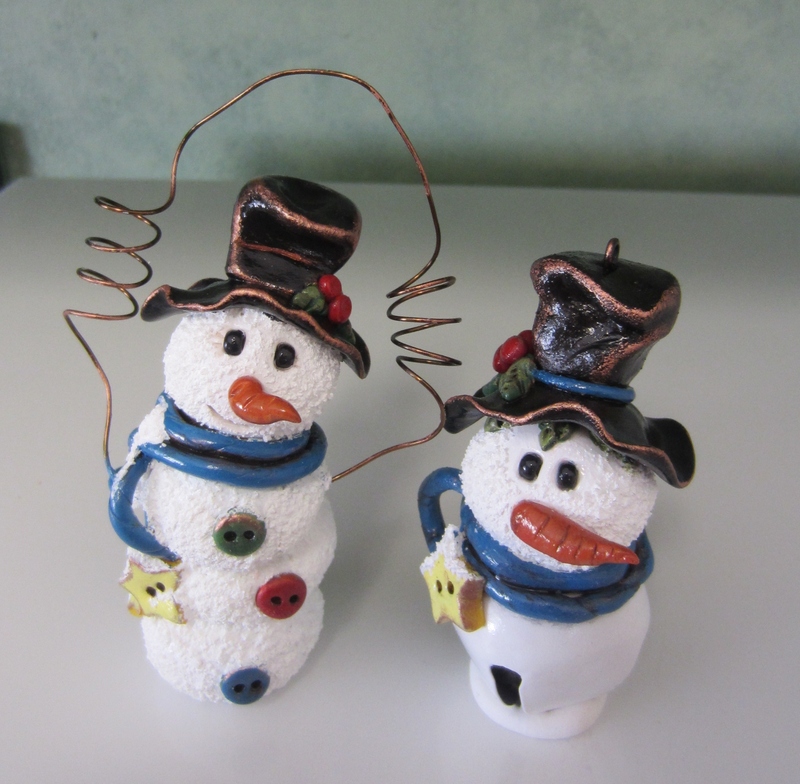 , snowmen ornaments (oh my goodness, these snowmen are absolutely ADORABLE!!!) , votive holder these would be great as place settings! 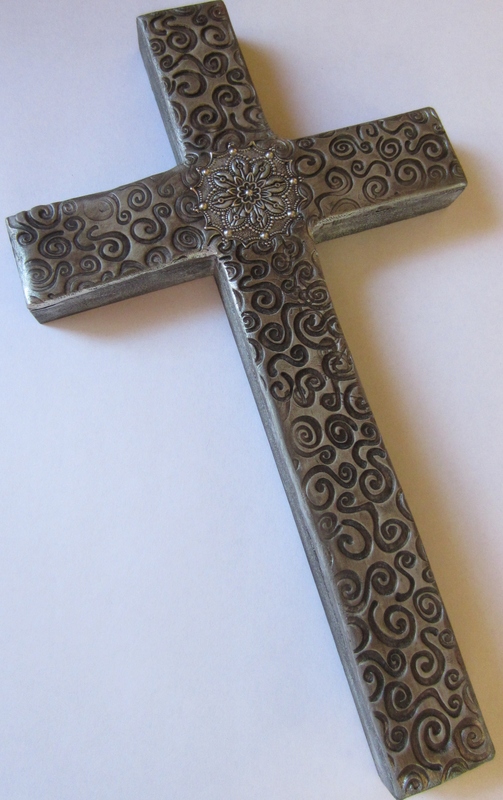 ), beautiful wooden cross, with embossed clay on the top, or a frame (Val will show you several ways to decorate a wooden frame), or make a wooden heart ornament, using polymer clay. We do have tools for you to use, but if you have some, or even a pasta/clay machine, you should bring them. This class is best for ages 13-adult. Space is limited, so everyone attending will be charged a class fee. Cost for the class is $10.00 plus whatever supplies you will need for the project that you choose to make. 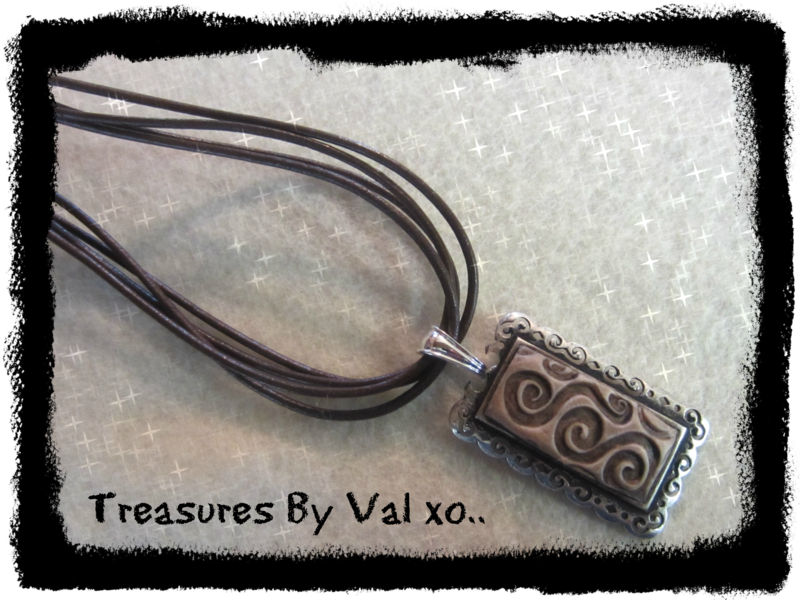 Val is a VERY talented lady, and if you’ve never taken a class from her, you are in for a real treat! She will make sure that you have a beautiful project to take home, and the knowledge to make more on your own. So if you’re interested in making some beautiful projects, give us a call (785-694-2817), stop by the craft peddler, or e-mail us, either through the website, or at: craftpeddler@st-tel.net. 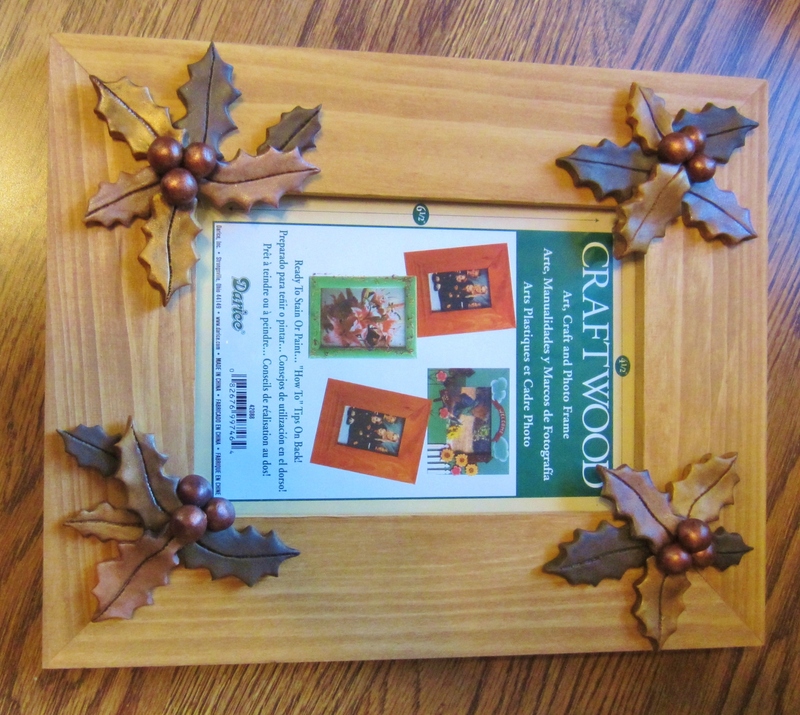 Start making Christmas gifts!! Let’s have some fun crafting on Saturday, Oct. 26 from 9:30-4:00!!! See you then!